The first day of pre-season testing for 2014 Formula One cars has come and gone. It included a few red flags, a crash (for Lewis Hamilton) and a some modest mileage for a few of the teams. Also absent from the test was the Lotus E22. Lotus decided some time ago to skip the first test, which means that the first running of their new car will take place in Bahrain on 19 February. It was expected that the first day of testing would be relatively quiet. With all-new power units in the cars, the complexity involved in this year’s testing is significantly greater than was the case last year. And teething problems are inevitable. There were plenty of those. McLaren did not run their new car, the MP4-29, at all, after electrical problems hampered their efforts throughout the day. Caterham managed only one lap with their new driver, Marcus Ericsson. Sebastian Vettel covered just three laps in the Red Bull RB10 and did not set a lap time. It was only a matter of time before someone crashed in testing, and the first man to damage his car on track was Lewis Hamilton in the Mercedes W05. To be fair to Hamilton, it really was not his fault at all. 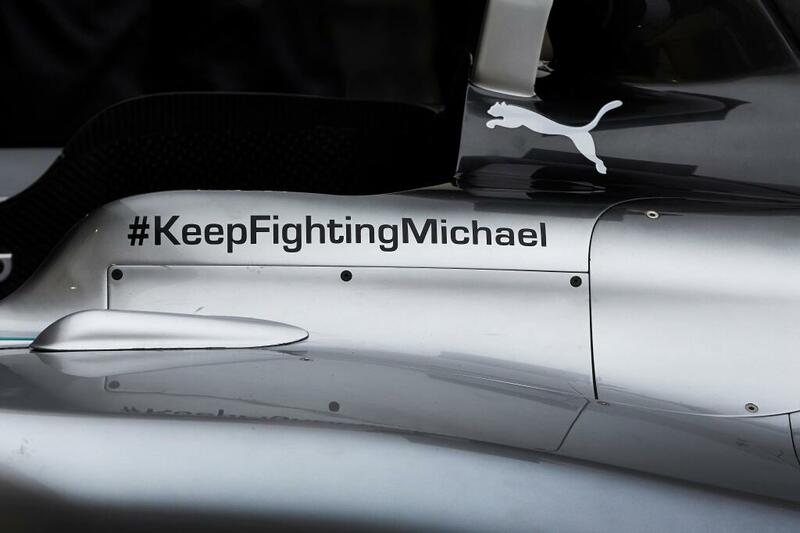 The front wing of his Mercedes failed at high speed on the main straight, which effectively prevented him from slowing down enough to take the first corner. Hamilton went off into the tyre barrier at the end of the straight in an accident very similar to that of Fernando Alonso in Malaysia last year. Fortunately, Hamilton was unhurt and the damage to the car did not appear to be too extensive. Mercedes nonetheless decided not to run again for the rest of the day in order to investigate the cause of the front wing failure. Until his accident, Hamilton was comfortably the quickest driver of the day and looked set to cover more mileage than anyone else. 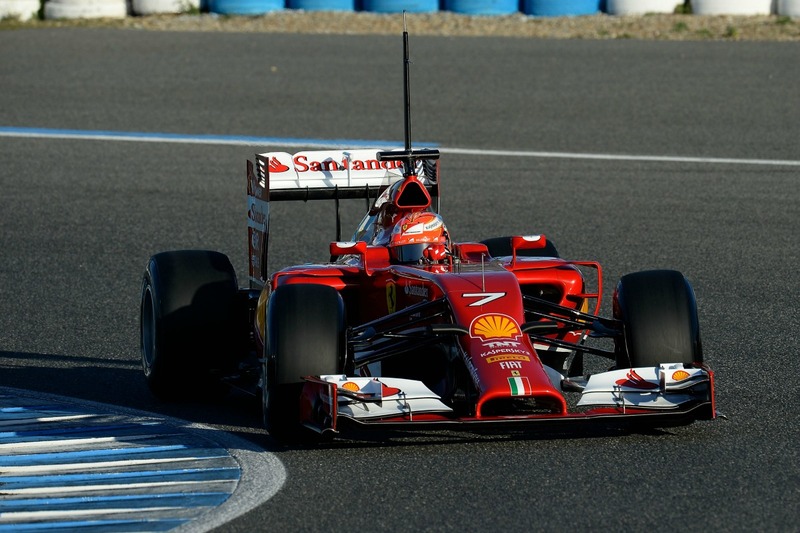 As it turned out, Kimi Raikkonen went on to set the standard for the day in both respects. He covered 31 laps in the Ferrari F14 T and set the fastest time of the day, seven tenths of a second quicker than Hamilton’s best effort. Lap times in testing seldom mean much, as it’s difficult to know exactly what the teams are testing at any given point. With brand new cars that are as different to their predecessors as this year’s F1 cars, lap times on day 1 of testing mean nothing at all, so there is very little point in analysing them. 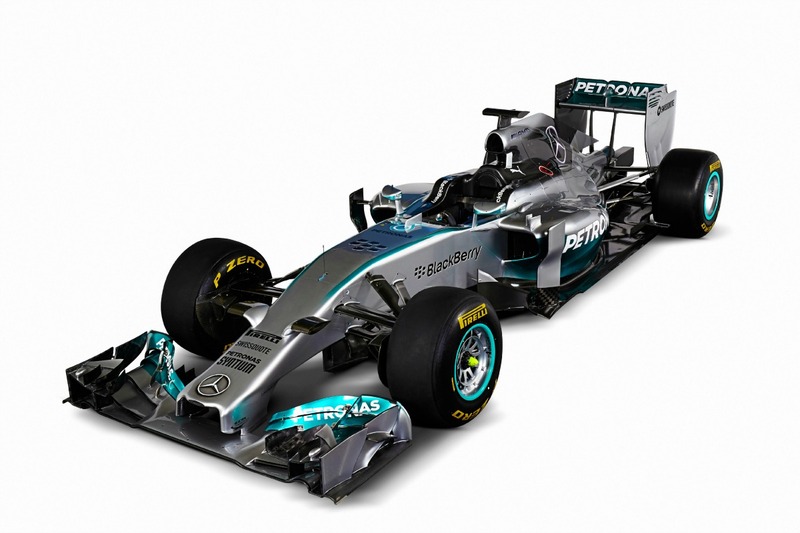 The much awaited Mercedes W05 was unveiled in Jerez, Spain this morning before testing for the 2014 season began. The car did not disappoint – visually, at least. Most of the cars unveiled thus far (the only one we haven’t seen at all is the Marussia, which should arrive in Jerez tomorrow) have unsightly phallic protrusions at the end of their noses. According to the experts, that arrangement is aerodynamically optimal. If the experts are right, then Mercedes and Ferrari have got it wrong, because they are the two teams who have designed cars with more conventional nose-ends. 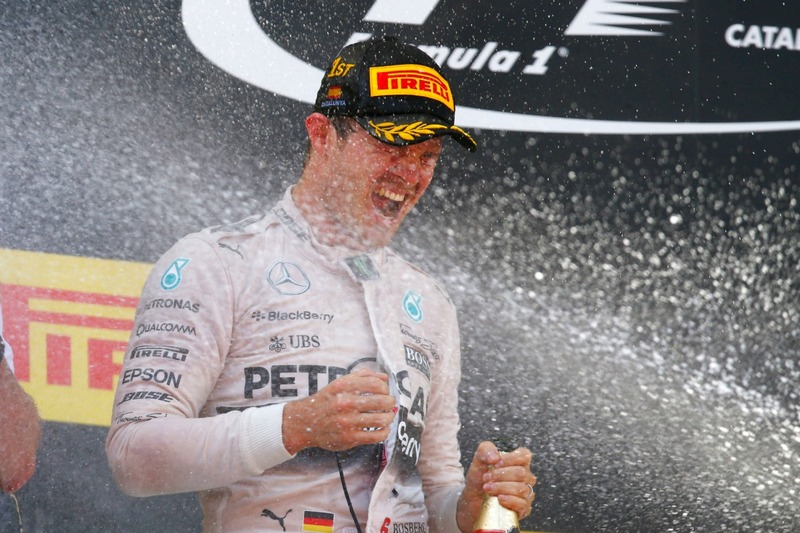 Mercedes has long been known for producing attractive racing cars, and the W05 is certainly that. The nose looks good, which cannot be said for the rest of the field. The livery on the W05 features more black than in previous seasons, but still retains enough of its signature silver to be obviously a Silver Arrow. What is unknown about the car is its speed and reliability. For the first half of today’s first day of testing, it looked like Lewis Hamilton would easily top the times and cover the most mileage for the day. But then the wheels came off, so to speak. Hamilton’s front wing failed under braking for turn one and he crashed, not too heavily, into the tyre barrier at the end of the main straight. 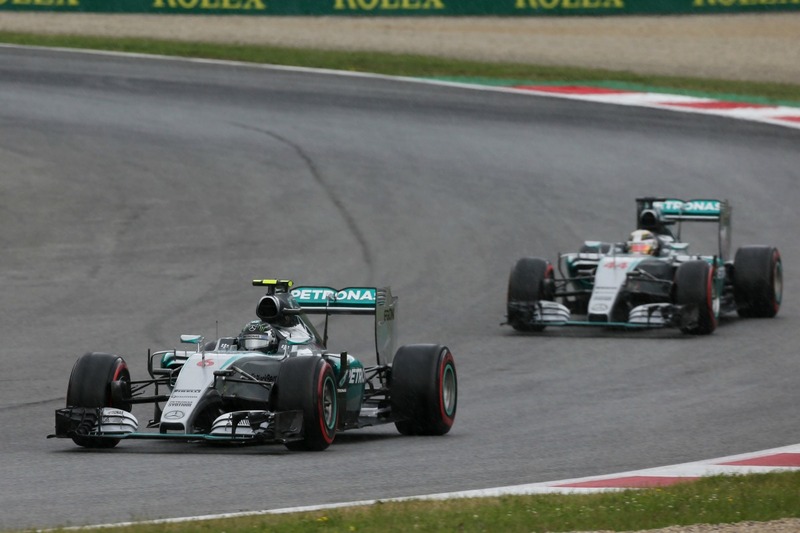 It will be some comfort to Mercedes that the failure was not related to the engine, or “power unit” as it is now known. But they will still be anxious to sort out the issue that allowed the front wing to fail at high speed. Click here to see the Mercedes W05 launch gallery.